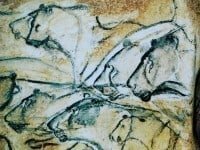 From the World famous cave of Lascaux to the most recent discovery of Chauvet, France has some of the most spectacular prehistoric cave art in the world. 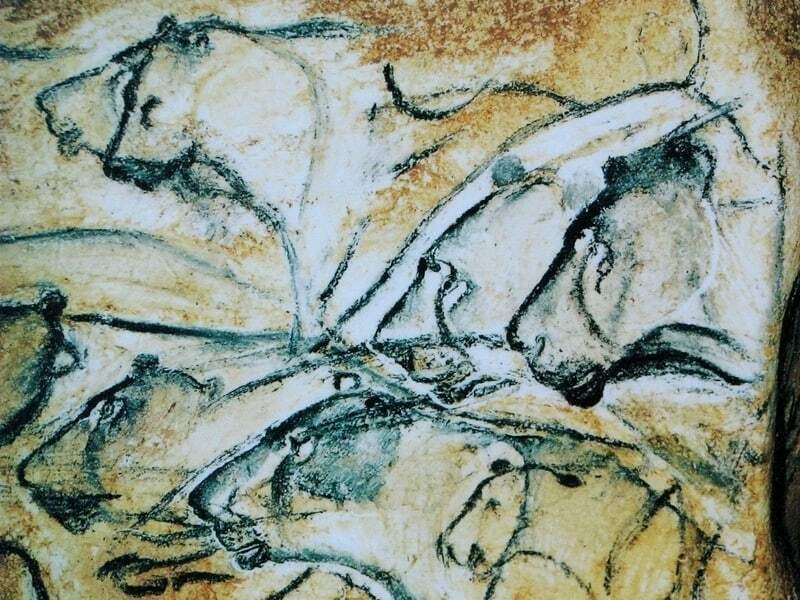 Painted and engraved images, as well as bas relief sculptures, were made by Homo sapiens and probably also Neanderthals between about 36,000 to 12,000 years ago, a period that coincides with the end of the last Ice Age. 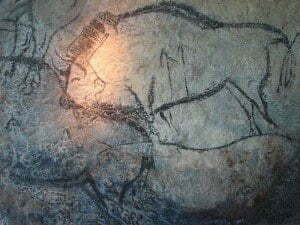 Although there are caves with prehistoric paintings and/or engravings in many regions of France, not all of these are open to the public. 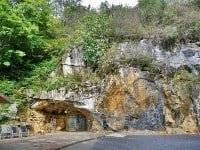 There are three main areas that have a number of decorated caves, museums and theme parks that are popular destinations: the Vézére Valley in the Dordogne, the Lot Department in the Midi-Pyrénées, and in the Pyrénées mountains themselves. 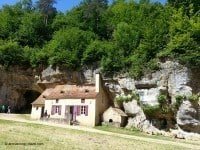 The Vézère Valley, in the Dordogne, is so rich in Palaeolithic archaeology that the region was placed on the UNESCO list of World Heritage Sites in 1979. The three areas do not, however, count for all the accessible decorated caves; see the map and list below for all cave art sites that can still be visited. 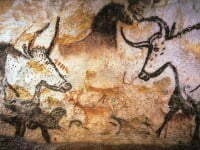 Where are the Cave Paintings in France? This map shows the location of all the caves that are open to the public (red markers), the replicas (yellow markers), as well as the various museums and theme parks that have cave art related displays and exhibits (blue markers). 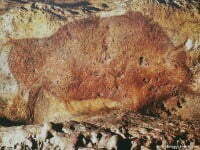 Certainly the most concentrated set of sites, and amongst the best cave art in France is in the Dordogne. More specifically, in the Vézére Valley; in which there are over 14 archaeological sites and 25 decorated caves on the UNESCO list of World Heritage sites. And a number of these are open to the public – enough, with various museums and other interesting attractions in the area, to keep visitors busy for a week or more. Les Eyzies-de-Tayac is not only a wonderfully picturesque town, it is a good choice for a base for exploring the prehistory of the Vézére Valley. 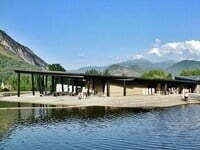 There are not only a number of sites and museums in the town itself, but the others are within easy reach. 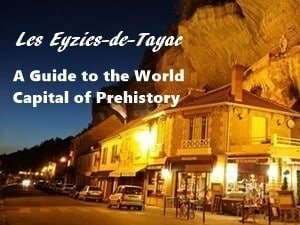 For anyone wishing to explore the archaeology of the area, read my Guide to Les Eyzies: the World Capital of Prehistory, with numerous tips and suggestions for where to stay and eat, how to get there and what to do. A good place to start once you are in the Vézère Valley is the Pôle international de la Préhistoire in Les Eyzies. 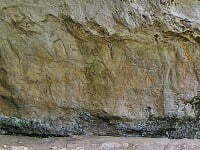 One of the most popular caves in the Vézère Valley is Font de Gaume. 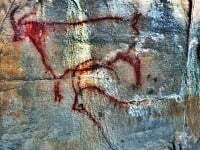 This is because these are amongst the finest prehistoric paintings In Europe still accessible to the public. Getting tickets requires a certain degree of courage, not least because of the out-of-date and misinformation on over-hyped travel review sites. Read my up-to-date guide to buying tickets to Font de Gaume, and Les Combarelles. 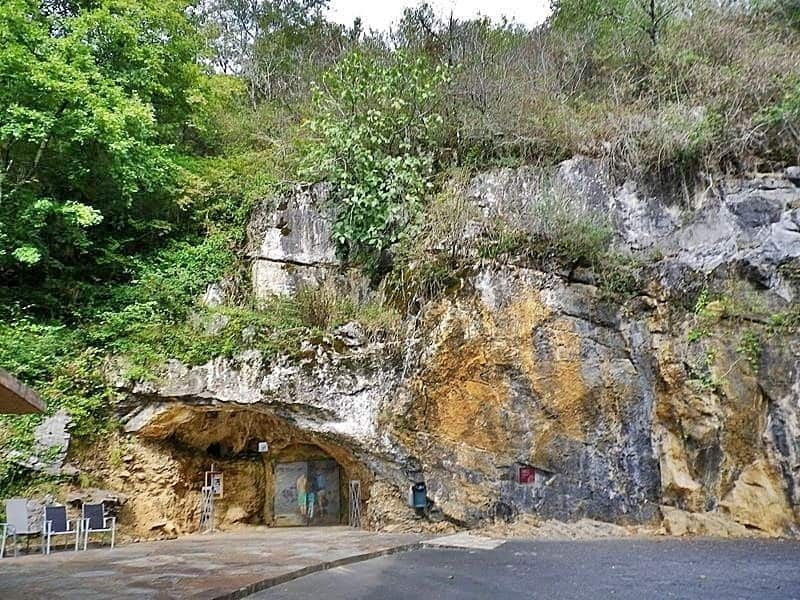 There are some spectacular limestone caves in the Lot Department of the Midi-Pyrénées region. And a number of these are open to the public as geological attractions. At Gouffre de Padriac, for example, visitors take a small boat ride on an underground lake. 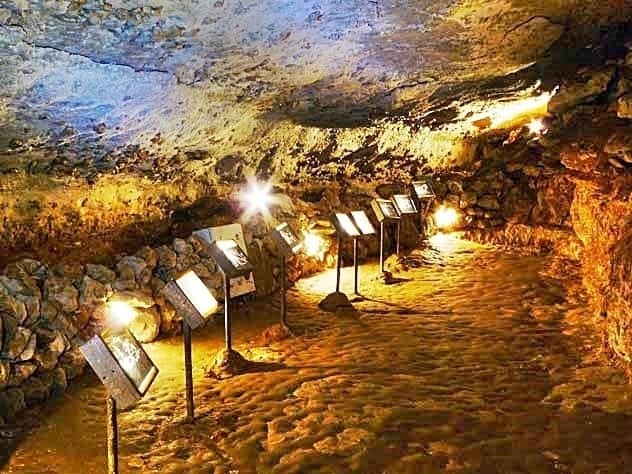 Three of these caves with Ice Age art are open to the public – and are as interesting for their geology as much as the prehistoric cave paintings. 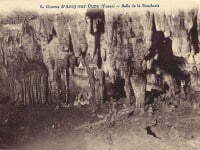 They are Grotte des Merveilles Cougnac and Pech Merle. 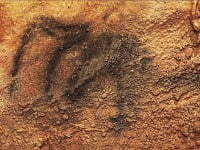 The last two are amongst the most important caves in Palaeolithic Europe, and archaeological research carried out on the imagery in these two caves has done much to advance understanding of cave art in Europe. 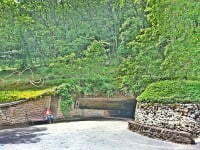 These three caves in the Lot are not that far from the Vézére Valley, a couple of hours drive at the most. Taking in the best sites in both areas is easily achieved. 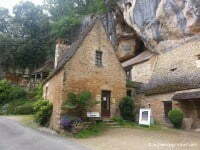 The three Lot caves are not as close together as some of the best caves in the Dordogne are. With careful planning ahead, however, it is possible to see all three in one day if that is required. 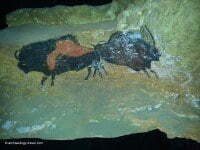 The majestic Pyrénées also has a significant concentration of decorated caves. Sadly, for conservation reasons, not as many of these are open to the public. 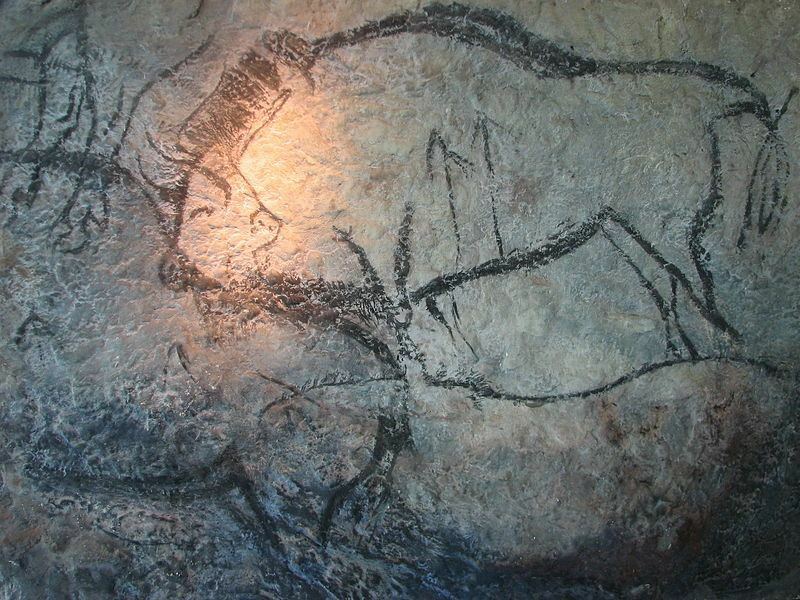 But those that are accessible to the public are exceptional examples of prehistoric cave art in France, and should not be missed. These include Niaux, édeilhac and La Vache. Near to these caves is the Pyrénées Park of Prehistoric Art (Parc Pyrénéen de l’ Art Préhistorique), and here visitors will find excellent facsimiles of painted panels from some of the caves in the area that are not open to the public. 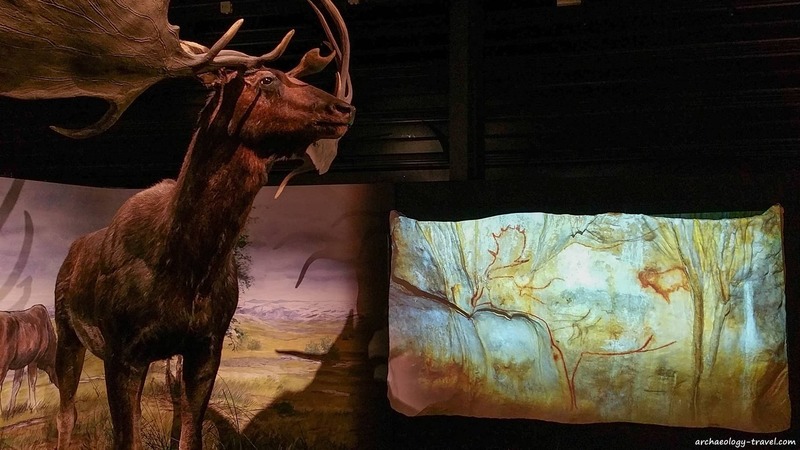 A megaloceros alongside a replica of a painted panel from Cougnac cave (Lot), in the Parc Pyreneen de l’ Art Prehistorique. The following table provides the basic details for each cave (when it is open and how to get tickets) to help with travel planning and getting your tickets. It is best viewed on a tablet or a desktop – not showing that well on smartphones. 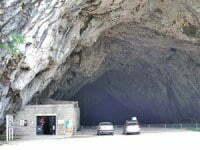 For more information about opening hours, entry prices, etc., click on the cave’s name. 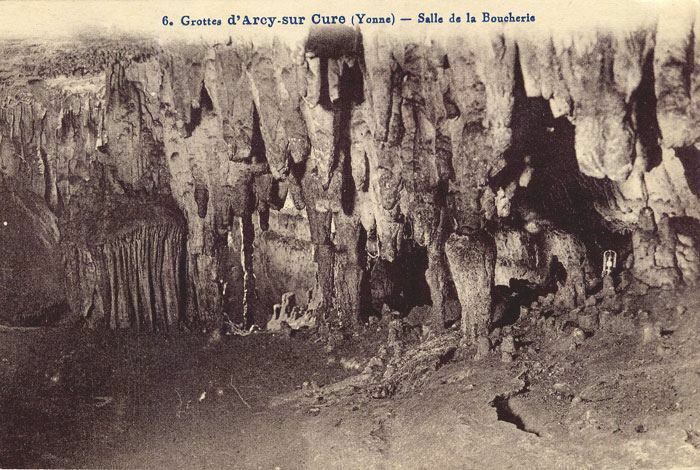 The following is an alphabetical list of all the decorated caves in France that people can visit. Some are owned and managed by the state, others are privately owned. When they are open during the year, the cost of tickets, the facilities at each site and other factors all vary from cave to cave. There are a number of museums and theme parks around the country that add much to any visit to the decorated caves, for people of all ages and differing degrees of interest. 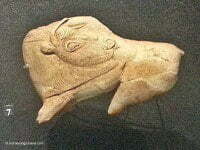 Most of the artefacts excavated from the caves are housed in various national and regional museums. The displays of these objects include not just stone tools but also the exquisite mobile art – such as the bone and ivory carved animals the Palaeolithic archaeology of France is well known for. Theme parks are designed with children and families in mind, and often provide hands-on activities for younger family members to learn more about life in prehistory when the cave art was made. A theme park and museum with a number of reconstructions of prehistoric life in the Stone Age. 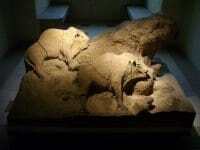 Including dioramas that show how Palaeolithic people created their paintings and engravings. 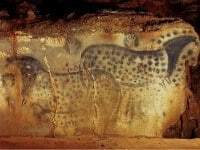 The vast grounds have many enclosures with living animals, the range of animals that the Palaeolithic artists depicted on their cave walls. 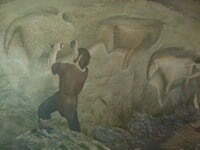 In the museum are reproductions of five of the more spectacular panels in the cave of Lascaux not seen in the Lascaux II facsimile. For many obvious reasons this is a great place to take the children, who love the horses, bison and goats. Re-opened in 2004, the National Museum of Prehistory has one of the finest series of exhibitions that explore the early prehistory of humanity. Innovative displays offer an extensive introduction to the archaeology of the Vézére Valley. One display takes the artefacts from successive deposits of a few local caves to allow us to see the changes in stone tool design through time. There are also a number of intricate carved bone and ivory artefacts, as well as reconstructions of extinct animals. 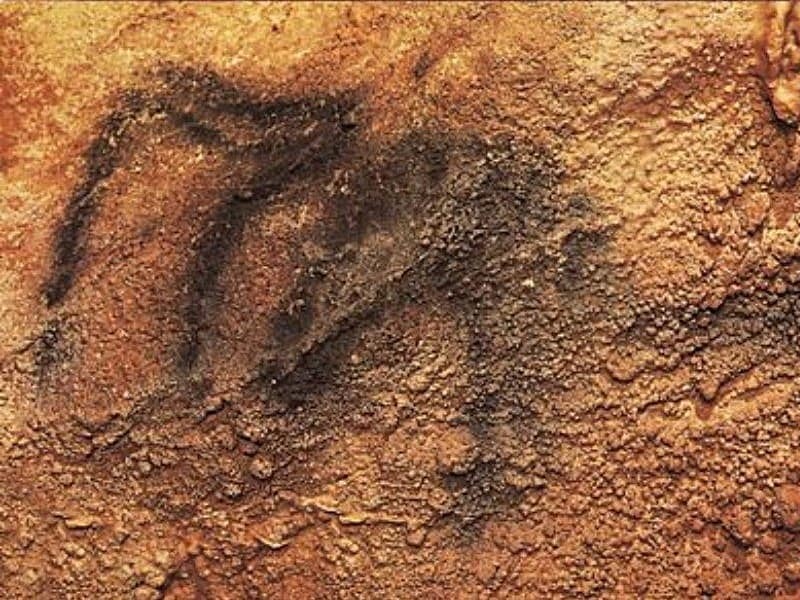 The Stone Age archaeology of the Vézére Valley is placed in context of the Palaeolithic period Worldwide, to show how important this area has been in the history of archaeology. 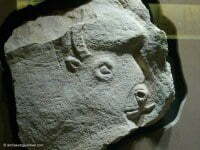 As a professional archaeologist I specialised in prehistoric art – researching rock arts on six continents in over 20 countries. 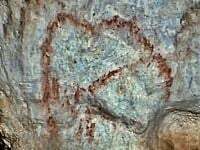 My work has been at the forefront of rock art research internationally and in 1994 I launched the world’s first postgraduate degree programme in prehistoric art. In 2005 I turned to the hospitality and tourism sector, which lead me to starting Archaeology Travel. 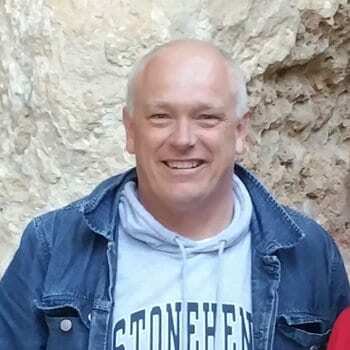 I have been visiting and taking students and guests to the caves of France since 1989. I use the experience gained over nearly 30 years to create bespoke itineraries and private guided tours of the decorated caves.